I was looking for a fun activity to use, to focus on the importance of setting details. 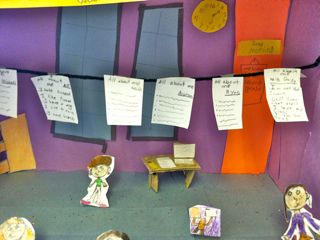 My students had a BLAST creating these dioramas, to represent setting elements. 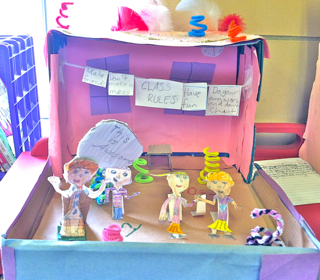 Creating shoebox dioramas are a fun and meaningful way for students to respond to reading or to use for project-based learning activities! They also needed to write short, descriptive PLOT cards to go with their presentation. 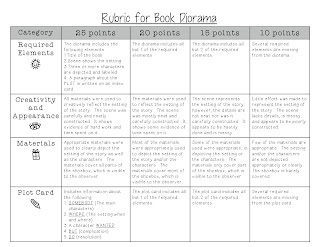 I have updated my rubric (April, 2019) and included PLOT Planning sheets. The Rubric can also be rated using either a 100 Point Scale OR Proficiency Scales! 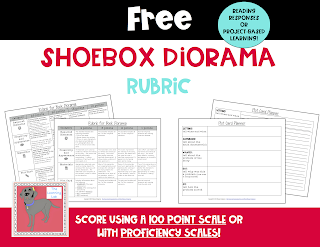 Click on the Rubric to download for FREE! We can learn together. Have a great weekend! Thank you so much! :) I just saw your blog--it's off to a GREAT start! Thanks so much for the comment and support. Hope you have a great weekend too! Thanks so much--it was really fun watching everyone unmask their creativity! Hi Stacey! I found you in the TPT forums and thought I'd say hi here. I'm following you here with G+ too. 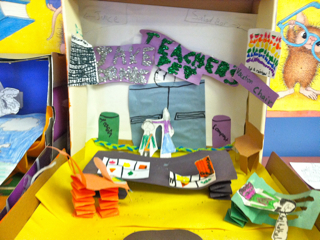 Great dioramas! Thank you so much! I will also follow you on G+. Love your blog!! I followed you back on G+ (and all the other ways too!). I'm just new to G+ though; are you finding your way around there? Any good groups to join? Awesome--I'll make sure I'm following you all ways too! :) I don't really know my way around G+ yet. I get a little confused by it. If you find any good groups let me know... let's keep each other posted! Those are wonderful. I know you and your kiddos are very proud. Thank you so much! It was fun watching the kids share their creations. :) I just joined your blog--it's awesome! I saw you on the TPT forums. I'm also a New England 4th grade teacher,(Maine). I'm a new blogger and I have a lot to learn. I look forward to reading your blog...looks like you have a ton of great ideas! I am your newest follower! 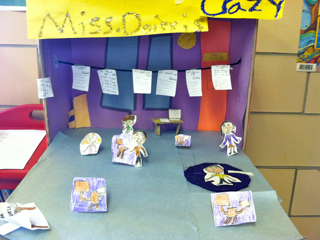 Your dioramas look fantastic! 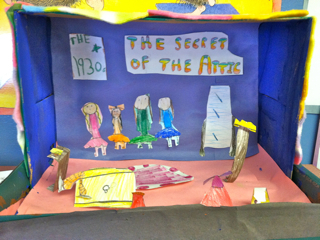 We are in the middle of making dioramas too, except ours are going to be exhibits in our upcoming Maine Museum. I'll be sure to post photos when they are done. My students are having a ball with it! Yay-another fourth grade teacher! I feel like there aren't as many as grades k-2. I'm glad we can learn blogging together. That's funny, you're doing dioramas too. I love the idea of making them content-friendly. We are actually doing our study of Vermont... maybe I will do something similar next year with this unit! Can't wait to see your picts!! I love your dioramas! I am trying to get my first graders to do them for their book reports and I am going to show them your examples.